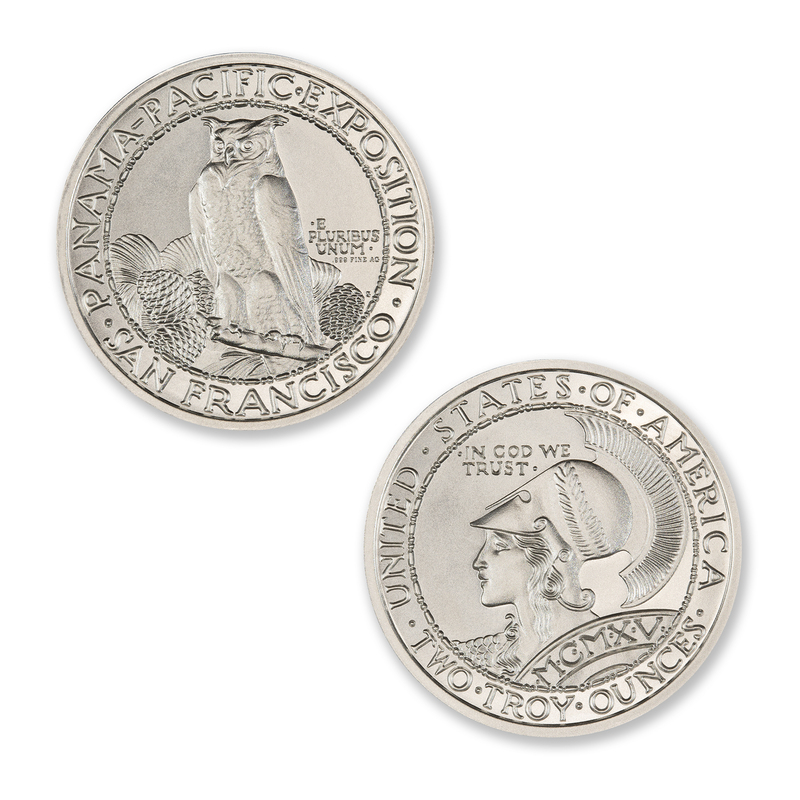 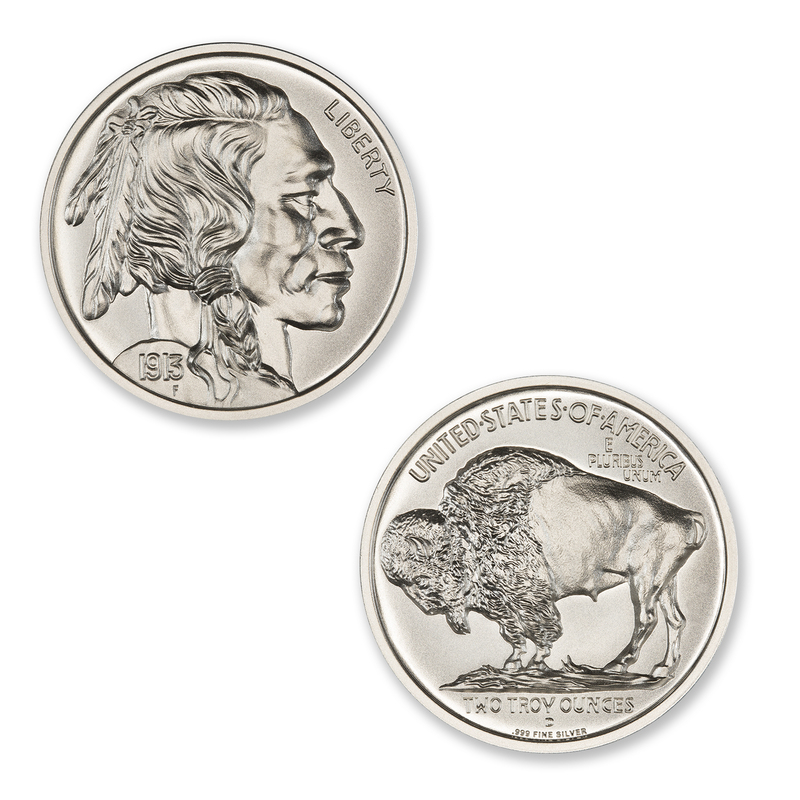 In 1916 the design of Adolph A. Weinman was selected for the new half dollar motif to replace the Barber design which had been in use since 1892. 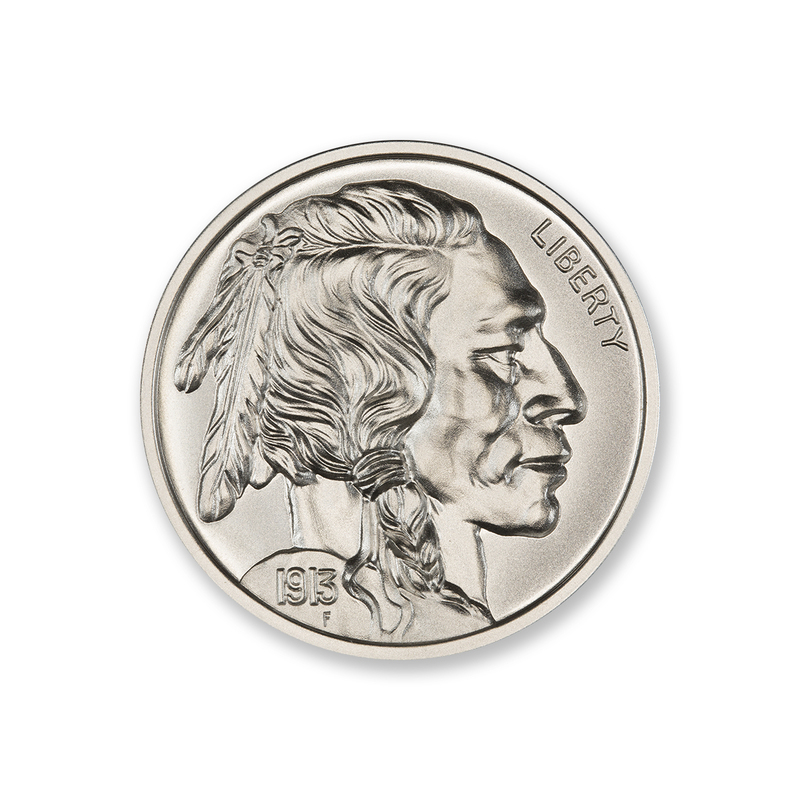 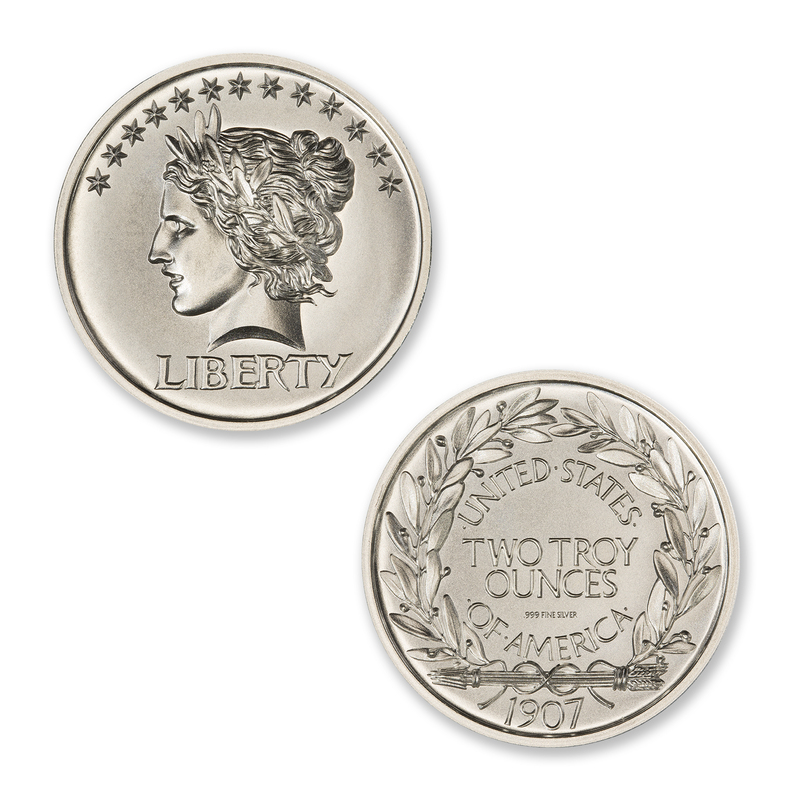 Weinman, a sculptor, also produced the Liberty Head or “Mercury” dime introduced the same year. 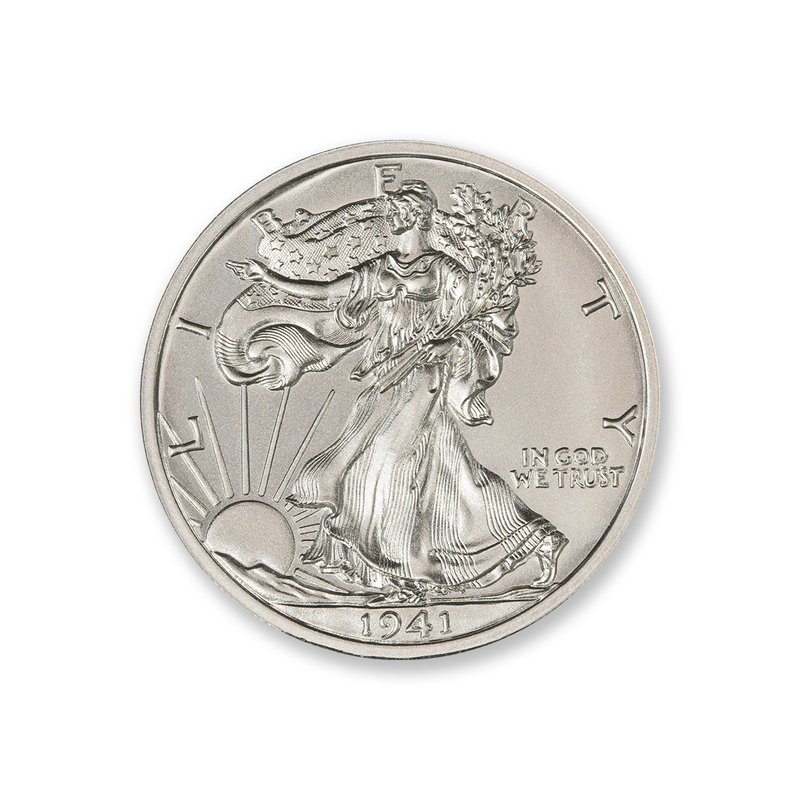 Obverse: Miss Liberty walking toward the sun, her right arm outstretched, her left arm carrying a bundle of branches, and with a starry cape behind. 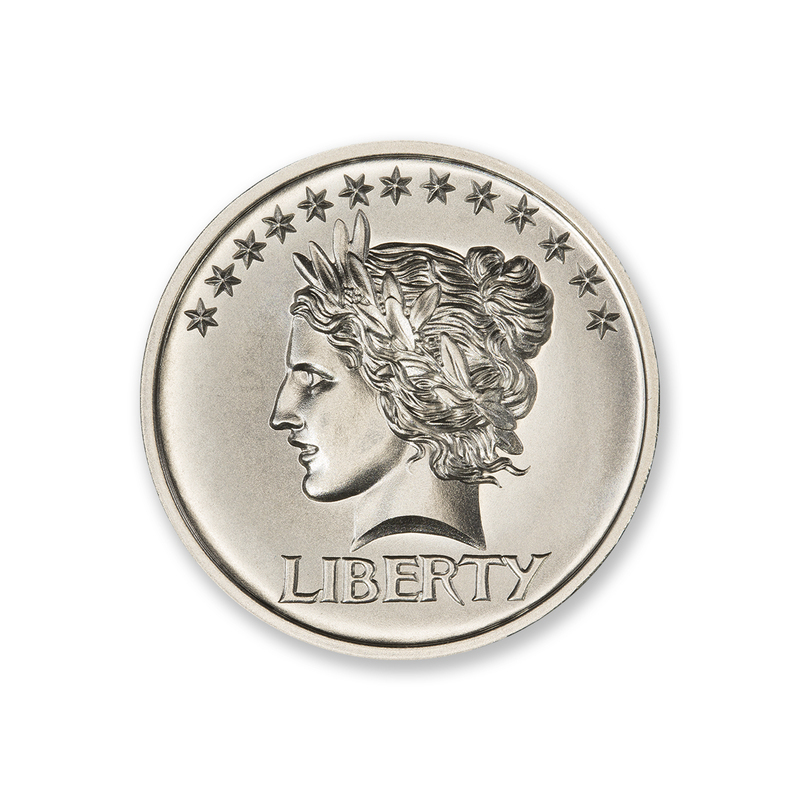 LIBERTY is above, while IN GOD WE TRUST is to the lower right, and the date is below. 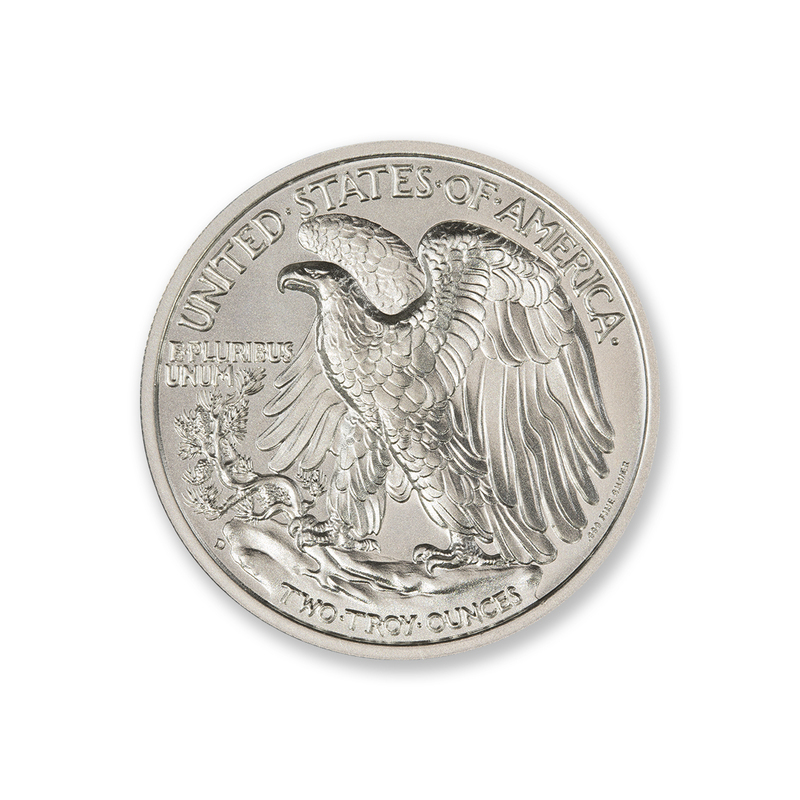 Reverse: An eagle perched on a rocky crag, from which grows a pine branch, a symbol of strength. 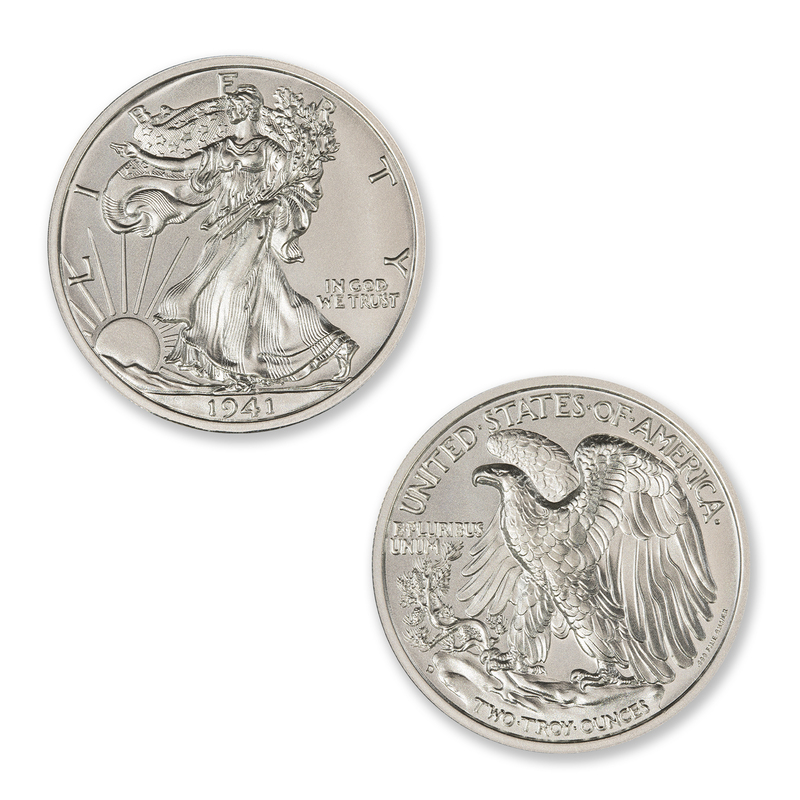 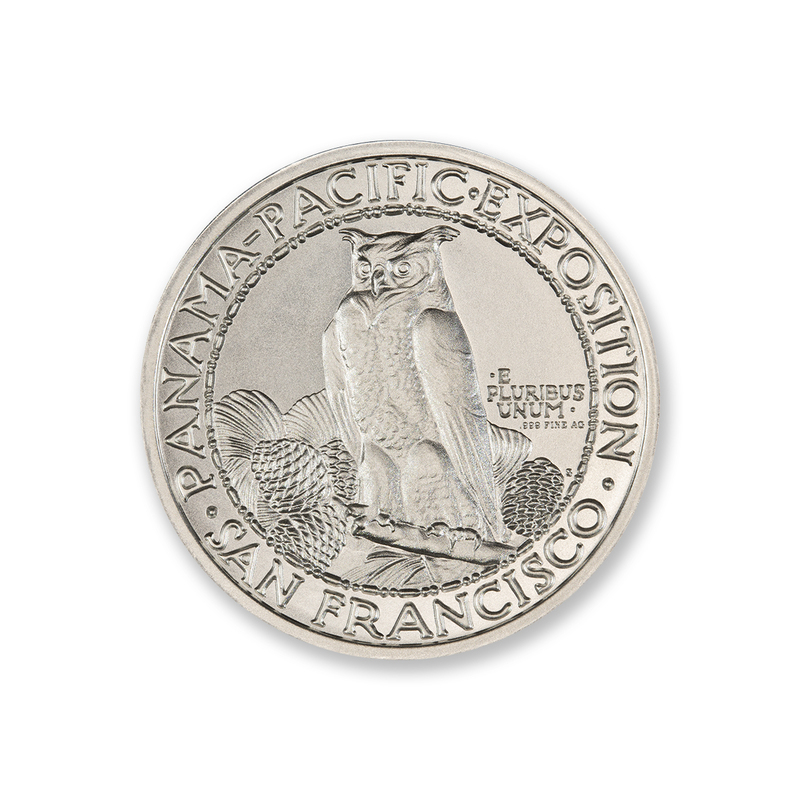 UNITED STATES OF AMERICA is above, E PLURIBUS UNUM is to the left, and TWO TROY OUNCES is below, with the hallmark on the lower right circumference.